BANGKOK, Thailand, DATE TK–In films, video games, virtual reality environments and other computer graphics arenas, lighting is key in achieving accurate depictions of our physical world. Computing lighting that looks real remains complex and inefficient, as the necessary consideration of all possible paths light can take remains too costly to be performed for every pixel in real-time. A pair of computer scientists at Aalto University in Otaniemi, Finland, with expertise in video game development and lighting simulation algorithms, has developed a new computational method to address this key challenge. Created by Ari Silvennoinen, a PhD candidate in computer science and Jaakko Lehtinen, associate professor of computer science, the novel method enables real-time lighting simulations that are much faster and more accurate than existing methods. They focus on computing realistic indirect illumination from dynamic light sources on mostly static scenes, and demonstrate the accuracy of their algorithm on several scenes where the illumination in the environment consists of complicated patterns of light and shadow. Silvennoinen and Lehtinen, who are also both research scientists at Remedy Entertainment and NVIDIA, respectively, will present their research at SIGGRAPH Asia 2017 in Bangkok, 27 November to 30 November. The annual conference and exhibition showcases the world's leading professionals, academics and creative minds at the forefront of computer graphics and interactive techniques. "Real-time dynamic global illumination remains a big challenge in the field. The challenge stems from the fact that, given a scene, any two points in the scene could be in interaction by participating in the light transport from one another," explained Silvennoinen. "The number of these interactions grows very rapidly. For example, with just 1,000 points, we have potentially 1,000,000 interactions." The key novel contribution is a method that accurately computes indirect illumination using information only from a very sparse set of "radiance probes"–samples that capture scene illumination at a single point – allowing real-time operation in 3D scenes of complexity on par with modern games. "The quality of the results, in particular the indirect shadows, is very high due to the accurate way we handle visibility between senders and receivers," said Silvennoinen. "Our method makes high-quality indirect illumination, the Holy Grail in real-time computer graphics, practically viable." In the study, the researchers demonstrate their method on architectural illustrations, accurately showcasing how light through a window moves through a living room over the course of time, for instance, or passes through shadowy columns of a dimly lit palace. 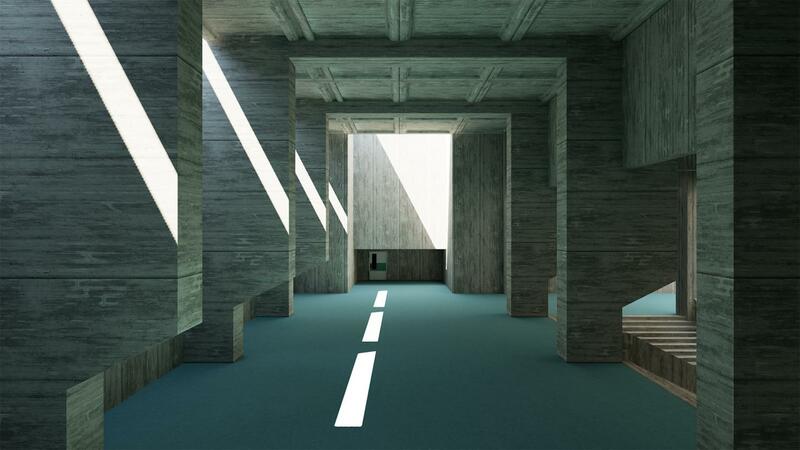 In addition to its direct application to game graphics, the researchers envision this method to enable architects and their clients to see how their design works with dynamic illumination. Also, future work could allow lighting designers to have immediate feedback while placing virtual light sources in computationally restricted environments like virtual reality or augmented reality.